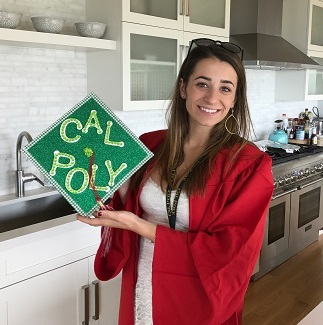 As a political science student at California Polytechnic State University, Isabella Bacino draws on a history of academic achievement and extracurricular leadership. Standing out as a lifetime member of the Redwood High School Honor Society, Isabella Bacino earned induction upon her graduation in 2017. After making the dean's list in each of her four years of high school, Ms. Bacino received a number of academic college scholarships, including the University of Boulder Academic Honors Scholarship and the American University Global Citizens Scholarship Award. An award-winning athlete, Ms. Bacino received honors as a member of her high school basketball and soccer teams. She distinguished herself as an all-tournament player in 2012, and she received the Roper Award for Sportsmanship in Women's Soccer in 2015. Dedicated to sharing her skills with others, Ms. Bacino has served as an assistant soccer coach for children ages 7 through 12 at the Mill Valley Soccer Club. She has also worked as a child care specialist at The Dailey Method, a fitness studio, where she tended children while their parents were in class.